The importance of solving the human genome and the genomes of other species is that those billions of letters of DNA are deposited into databases and become available to scientists everywhere to conduct post-genomic research. Such research includes annotating the human genome—matching the DNA codes that hold the secret to human life to the genes, proteins, physiologies, and behaviors that define human life. Such work holds great promise for future medicine, and scientists have been investigating how the genes in the human genome actually contribute to the biology of health and disease. In the last few years, a team of scientists from The Scripps Research Institute and the Genomics Institute of the Novartis Research Foundation (GNF) has been working toward an understanding the biology of circadian rhythms—the cyclic, clock-like expression of genes in the body. The team, led by Steve Kay, Ph.D., and John Hogenesch, Ph.D., uses a combination of genomic, biochemical, and behavioral approaches, work that recently revealed a new genetic component of the mammalian clock—a protein known as "Rora." This discovery may someday help people with Jet lag, shift workers who feel wiped out after working a night shift, and people with more serious sleep disorders, many of which are related to circadian rhythms, say the scientists, who report their findings in the latest issue of the journal Neuron. Science has known for years that humans, mice, and many other plants and animals possess internal clocks that keep track of time and coordinate physiological, behavioral, and biochemical processes with the rhythm of the 24-hour cycle of day and night. These so-called circadian rhythms offer distinct advantages to organisms that use them. Plants, for example, shut down photosynthesis at night, and they gear up their photosynthetic machinery and raise their leaves just before dawn. They use their clocks to measure day length and in that way anticipate changes in the seasons—a system that determines when they shed their leaves, produce seeds, and makes flowers or fruit. Humans also have circadian rhythms, and we entrain our internal clocks to the 24-hour day. Under normal conditions, we time our major activities with daylight, we sleep during the nighttime, and some of our vital signs follow this pattern. Our blood pressure fluctuates daily, rising and falling at predictable times of day and night. Scientists have provided evidence of the existence of internal clock mechanisms by placing organisms like rodents in chambers isolated from day/night cycles. In spite of this, the animals' rhythms still cycle approximately every 24 hours. One of the most intriguing aspects of this is that the mammalian clock is actually composed of many separate clocks that maintain different circadian rhythms specifically adapted to the various tissues of the body. The liver, the heart, and the kidneys each have their own distinct clocks. The liver, for instance, expresses a number of enzymes that remove toxic substances from the bloodstream during the day, which corresponds with the prime time for food (and toxic compound) intake. Coordinating the activities of all these different clocks is the job of the master circadian oscillator, or master clock, which in humans and other mammals is the suprachiasmatic nuclei, a small center in the brain's hypothalamus with about 10,000 neurons that sits above the optic chasm—the location where the optic nerves cross each other. This master clock synchronizes independent clocks that reside in peripheral tissues, and every 24 hours, the master clock cycles. This cycling involves the coordinated expression of many genes involved in feedback loops, in which the expression of one gene turns on the expression of a second gene, which turns off the first gene, which turns off the second gene, which turns the first gene back on, etc., day in and day out. The circadian biological clock works outside earth the same as on earth. In the space with no gravity you can find the astronomer's body performs all functions as the clock organize waking up, sleeping, eating and all functions all the day. Scientists say that the circadian biological clock works from the first moment of creation in the mother's womb. The scientists have found that the biological clock is a group of cells in front of the brain behind the eyes in an area called "the forelock"; this clock sends a stream of signals to the entire body to perform all tasks accurately. Also the researchers noticed that the forelock is responsible for all mental operations, behavior and the psychological states. One of those scientists say"Actually, brain imaging has shown that the frontal lobes may be divided into seventeen or more sub regions, each responsible for a slightly different kind of work that the human performs. So a problem anywhere in this area will impact the way a child approaches and performs any task. " 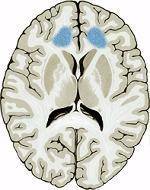 Scientists say that the functions of the frontal lobes involve the ability to recognize future consequences resulting from current actions, to choose between good and bad actions (or better and best), override and suppress unacceptable social responses, and determine similarities and differences between things or events. Therefore, it is involved in higher mental functions. "and when their term comes, neither can they delay nor can they advance it an hour (or a moment)." [Quran 16:61]. 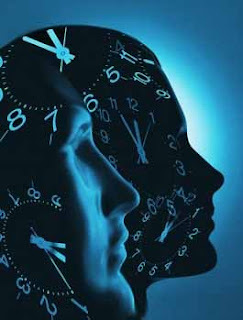 We ask atheists and disbelievers who believe that the universe and human were created by coincidence, is the blind coincidence able to create this accurate biological clock which organize the entire body in that amazing organizing? 1- Keith McKeown , New "Clock Gene" Uncovered, The Scripps Research Institute, 2004. 2- Link found between body rhythms and circadian clock, light, Harvard College, 2002. 3- Bengt Jansson, Controversial Psychosurgery Resulted in a Nobel Prize, www.nobelprize.org, October 29, 1998. 4- Zack Lynch, The Search for Emotional Truth, www.corante.com, November 10, 2006.